Good health is the key to happiness. Stay fit, and if you want that, you should get some tests done for you and your family’s well being. Medall Healthcare is providing you an amazing offer where you will be able to avail 15% off on Laboratory tests and 10% off on non-laboratory tests which is valid at 15 locations. Everyone should get a full body check up done twice a year so that you get to know any issues or ailments touching your well being and why to wait if there is such great summer offer for you. Just book an appointment and stay certain that yes, you are actually fit and will be maintaining it. Just logon to the website UPto75.com and get a beneficiary of the offer. Such deals are rare to get. Just download the discount voucher on your mobile and go for the tests of your need. Redeem the coupon while getting the appointment fixed. You can also redeem it by simply calling up the laboratory while booking the appointment over the call. Stay happy and get the tests done. 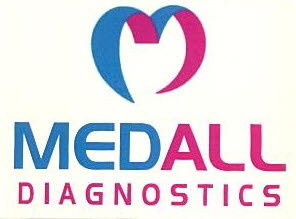 To know more about the offer and the locations where this offer is available, click on the link Medall Diagnostic Health Checkup Pakcages.